April 10, 2019 The Summer Slide: Hopefully to be a thing of the past! Summer is a time of great inequity for young people. During the summer, many students and their families lose access to critical support that keeps them safe, healthy, and engaged in learning. Research shows that children raised in low-income households can lose two months or more of reading skills during the summer, and children who do that consistently can wind up two-years behind their classmates by the end of sixth grade. This decline is called the “Summer Slide,” and the Suncoast Campaign for Grade-Level Reading is working with our region to hopefully make it a thing of the past! Recently, Beth Duda, director of the Suncoast Campaign for Grade-Level Reading (SCGLR), led a conversation outlining the Suncoast Summer Reading Challenge as part of the second installment of the nationwide GLR Campaign Learning Conversation series. Last year, to avoid the “summer slide,” with support from The Patterson Foundation, SCGLR engaged our four-county region — Charlotte, DeSoto, Manatee, and Sarasota counties — and partnered with 83 summer camp providers and summer learning academies to encourage reading and engage the kiddos in creative ways to foster curiosity and a love for reading. 5,369 children participated in the 2018 Suncoast Summer ReadingChallenge, with 4,915 completing the challenge by reading at least six books. In total, they read 126,787 books. I understand it is my responsibility to keep my brain, body, and character strong. I know that reading books during the summer is important for my brain and my future. I will keep a truthful record in this log of books I read this summer. Watch as I build the best me! As further motivation, each time a child finished a book at their grade level, they earned a brightly-colored silicone bracelet. SCGLR obtained aggregate performance data for 69 summer providers who worked with elementary school-aged children for at least four weeks during the summer months. These children took an i-Ready diagnostic test in the spring of 2018 (AP3) and an i-Ready diagnostic test in the fall of 2018 (AP1), allowing SCGLR to compare their scores to get an indication of a summer reading gain or loss. 43 (62%) of the summer locations participating in the Suncoast Summer Reading Challenge experienced no loss of reading skills over the summer. 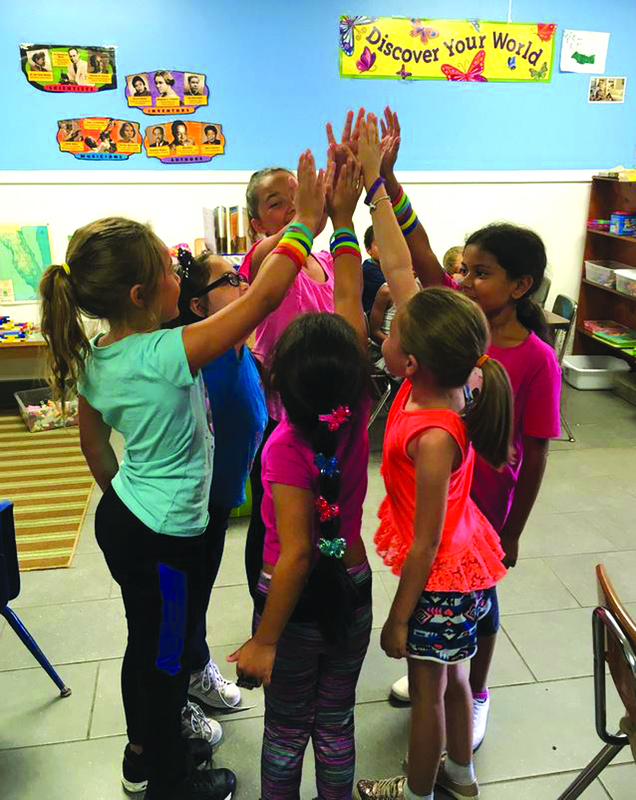 28 (41%) of the summer locations participating in the Suncoast Summer Reading Challenge experienced an increase in their reading skills over the summer, with five locations gaining more than 1.5 months of reading skills. 54 (76%) of the summer locations participating in the Suncoast Summer Reading Challenge gained reading skills, stayed even, or lost only .5 months of reading skills — significantly better than the traditional two months of learning loss! 66 (96%) of the summer locations participating in the Suncoast Summer Reading Challenge gained reading skills, stayed even or lost 1 month or less of reading skills — again significantly better. Funders, policy makers, and community leaders can help schools and local organizations address summer learning loss by supporting strong programs and by engaging more children in summer learning opportunities. Using intentional techniques, summer learning can take on a new form by blending core academic learning, hands-on activities, arts, sports, technology, and meaningful relationships to achieve success. The 2019 Summer Reading Blast Off! will welcome this year’s Suncoast Summer Reading Challenge, and it will be here before we know it! SCGLR needs nearly 50 volunteers in May to make it spectacular! Register to volunteer. NOTE: High School students are welcome. Grab a notepad, and watch the 50-minute webinar to learn how you can upload the Summer Reading Challenge into your #GLReading community, or view the PowerPoint presentation.